Jerky Subscription sends you gourmet beef jerky that's hard to find anywhere else. Every month, to your home or office. Looking to give a gift or save money by pre-paying your own subscription? 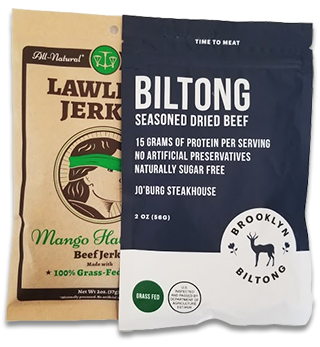 2 flavors of craft beef jerky conveniently delivered to your door. 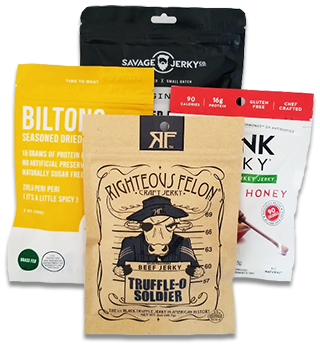 4 flavors of craft jerky conveniently delivered to your door. 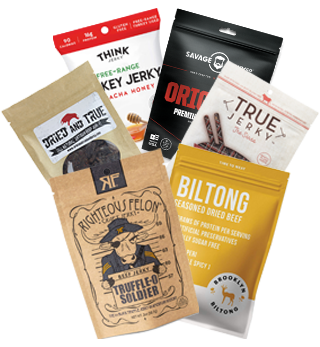 6 flavors of craft jerky conveniently delivered to your door.